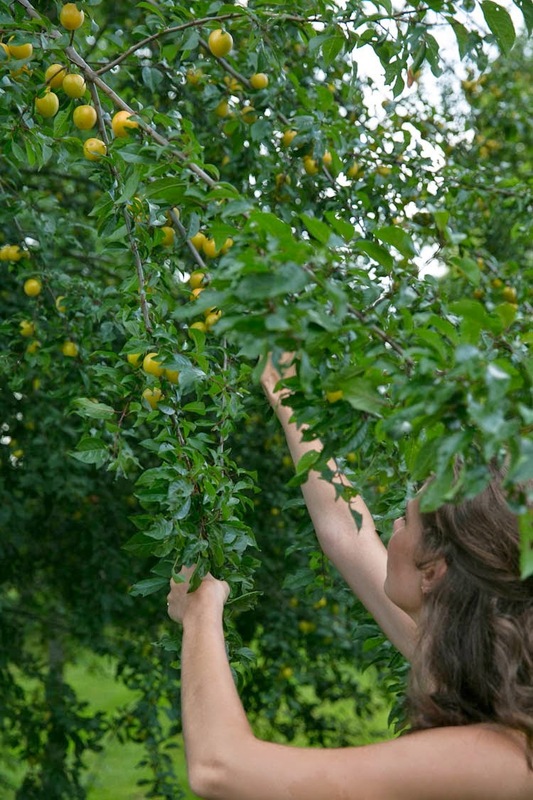 Yesterday we picked the first sun-kissed mirabelles from the tree. 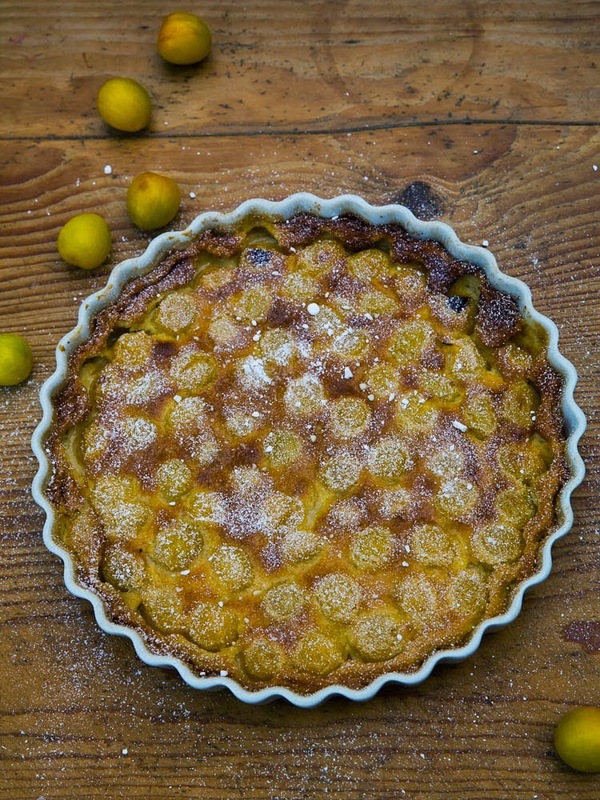 Although the season has not yet started I love to enjoy the first bright yellow, but still firm and slightly acidic mirabelles in a clafoutis, sooo good! 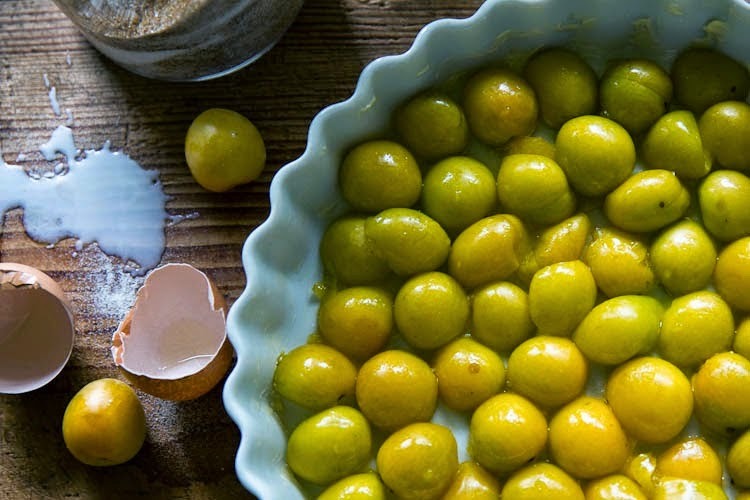 Distribute the mirabelles evenly in a buttered baking dish. Combine butter, milk, eggs, sugar, salt, brandy and vanilla in a blender. Blend for a few seconds, add the flour and blend again until smooth. 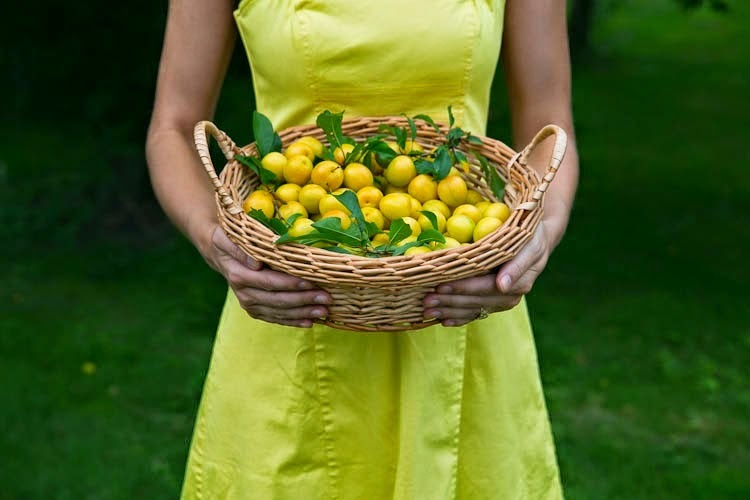 Pour the mixture over the mirabelles. Bake at 180°C for 35 minutes, until golden brown. It's fine if the clafoutis is still moist inside. Sprinkle with dusting powder. Enjoy!